Did you know that decking lumber isn’t actually a finished product? Sure, decking boards come to you planed on 4 faces and typically have sharp corners already eased (commonly abbreviated as S4S, E4E). If you’re using a clip system, your boards will also have a groove already routed out along the edges. 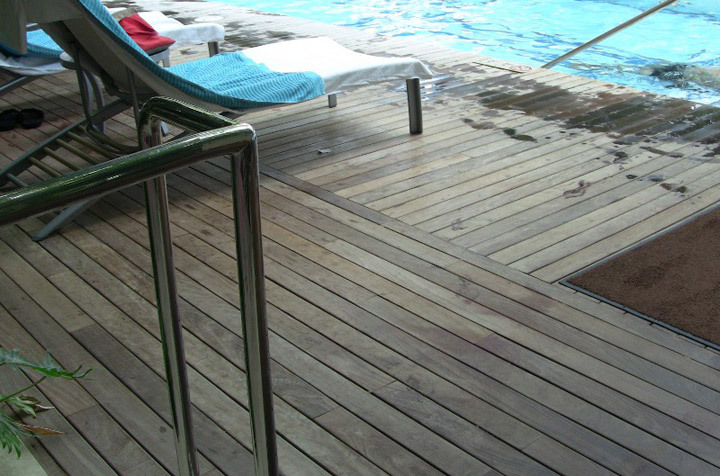 Those factors can combine to easily give you a false impression: namely, that your decking boards are finished products. But they really aren’t. Whether you’re using domestic decking species or tropical ones, decking boards are building materials that require added work during the installation period as well as throughout the lifespan of your deck. As long as you realize that fact and follow the recommendations we provide, you’ll be sure to end up with the best looking deck on the block! Decking boards will look like they’ve had a rough journey, because, well, they have! 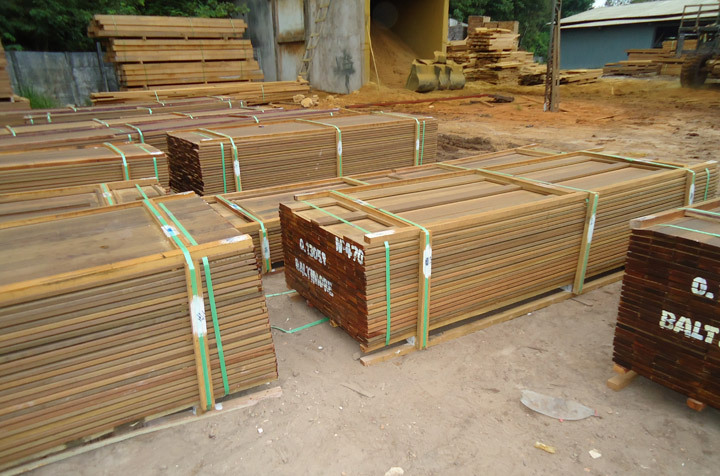 The more you understand about where your tropical decking comes from and how it gets from its point of origin to our lumber yard and then to you, the more you’ll appreciate what contributes to their travel-weary appearance. Typically, tropical decking is harvested from trees along the Amazon rainforest, where they’re sawn into S4S, E4E decking boards. From there, they end up being transported in a variety of ways, including by log trucks across land and in metal shipping containers loaded into boats. 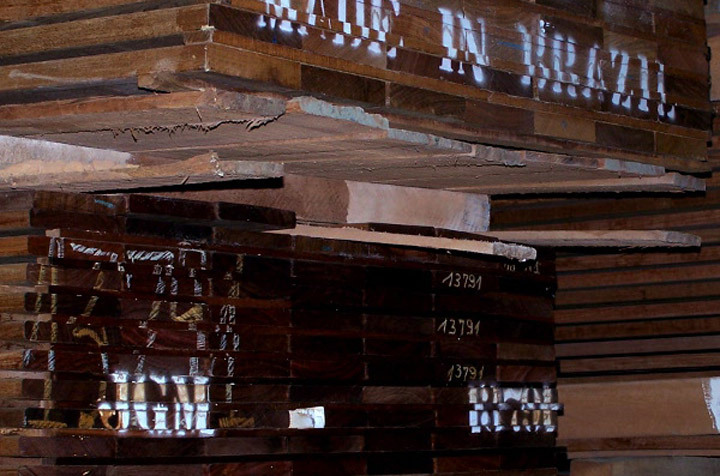 During all the transportation, the boards are often repeatedly stacked and unstacked. In the meantime, mud and dirt get onto the boards and end up drying and becoming compacted into the wood fibers, making it appear as if the grime was actually part of the board. Decking is typically air dried to a moisture content around 18%, but when the decking boards are loaded into a metal container, the environment can seem like a kiln during the day, only to re-soak up moisture during the cooler nights. Water stains, mineral deposits, and more can easily result. 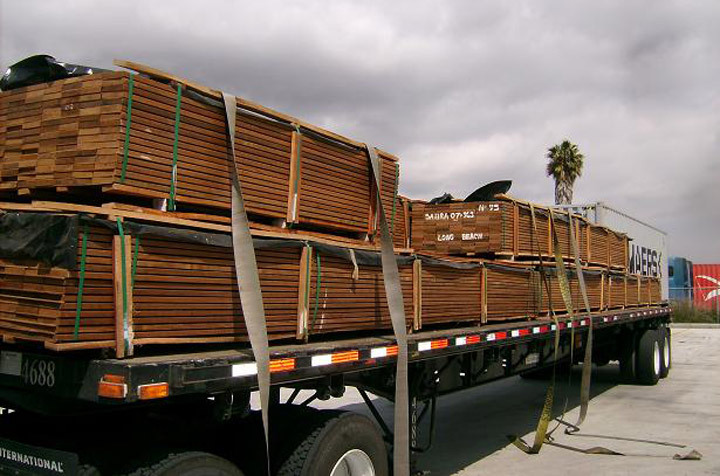 Once your decking lumber’s long, arduous journey is complete and the lumber arrives in our yard, it often sits there for months before we ship it out to a job site. During that time, added dirt and grime will typically accumulate. Sure, we could clean up the boards and sand them down a bit, but they would just accumulate more stuff on their way to you and then at your job site while they await installation. Not only would that end up meaning wasted effort, but it would also raise your cost for the lumber. When the boards arrive on your job site, in all likelihood, those boards will be stacked in the dirt as they wait. The result? More mud and more stains. And if it rains? Double the added ick. Even during installation, muddy boots will be leaving their prints all across the surface of the boards. Once the deck has been installed, it’s time for some sanding and cleaning. More about that in Part 2.